Accomplished Guitarist and Bass Player available for Session work and gigs. London and South-East England. 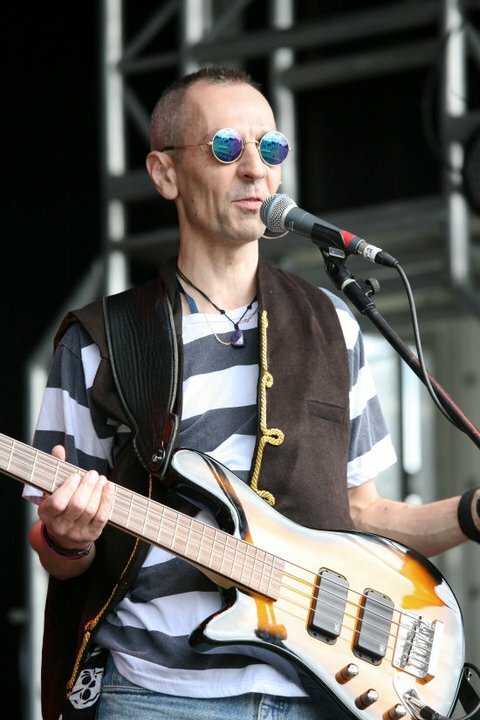 I am a guitarist and bass player and was the founder member of the band Breakout. I play bass for the bands In Transit, The Mayberries, 5 Sided Dice and Gentleman Rogues and guitar in the Acoustic duo "Bar Trek" and also dep on bass or guitar for Harry Spadge and bass for Spicy Old Cow, I played bass and guitar for Tim Boat, bass for The Pyrats for 6 years and for rock band Roadster for 18 months. I play many styles including: Rock, Pop, Blues and Soul on both electric and acoustic guitars. I also have experience as a backing vocalist and lead vocalist. I also have my own recording facilities. I have an ever increasing repertoire on bass and am happy to jump into any band and dep if I already know the majority of the set you are doing. If you would like a list of the songs that I know please email me and I'll see if I can help. If you are just starting to play guitar or bass and are not getting very far then give me a call and I'll see if I can help. Fender USA Telecaster, Gibson Les Paul Studio, Epiphone Sheraton, Stratocaster copy with Irongear Pig iron pickups, Tanglewood Acoustic, Cort 12 String Acoustic, Aria Acoustic, Handmade P-Bass and Thunderbird Bass and Steinberger Spirit XT2. Peavey Classic 30 Guitar Amp, Warwick LWA500 Bass amp and Barefaced One10 cabinet. Ibanez TS-9 Tube Screamer, EHX Big Muff Pi, EHX Bass Muff Pi, EHX Memory Boy, EHX Bass Soul Food, TC Electronic Corona Chorus, Boss PW2 Powerdriver, Boss PH3 Phaser, Orange Squeezer Compression clone, Ampegulator, Fender Volume pedal, Boss NS9 Noise Reduction and Zoom 505.